In Bhaktimala the divine is described and adored in the manifestation Familiar and beloved to all of us – Vishnu, Ganesh, Shiva, Shakti, Rama Krishna and Hanuman the principal deities who are the focus of our daily worship. The boundless experience of Bhakti is not confined to any one form of poetry or music. This vast all pervasive spirit is reflected in our series of 16 volumes which for the first time draws together a rare range of words music and classical artists in a single offering. In this compilation we have stayed within the Sanskrit/ Hindi Tradition our selection include ancient Sanskrit texts and the words of Tulsidas Surdas and meerabai as well as more contemporary writers. 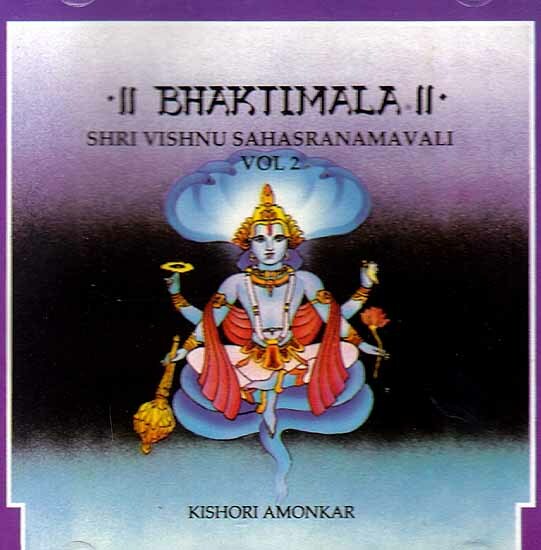 There is an equally varied range of devotional passages stotras and shlokas, stutis, bhajan and aartis with a special for Namastotras and the Shri Vishnu Sahasranamavali Presented here in its entirety. No less diverse are the musical renditions of these passages. From the ancient form of dhrupad to the better known bhajan style from Sanskrit shlokas set to ragas to those recited in musical chant from traditional melodies to those specially created for this series the music is as soaring and for further information please write to.